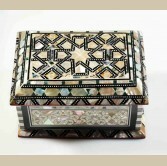 Mother of pearl is the organic material of the inner shell that is used to produce pearls. 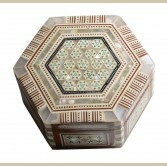 Mother of pearl is known for its resistance and durability as well magnificant bright color it adds to any material inlaid inside. 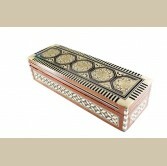 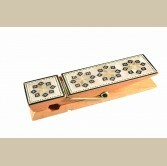 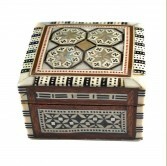 Our skilled artist uses natural organic mother of pearl to produce a peice of art. 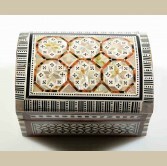 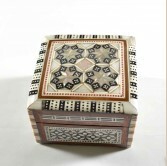 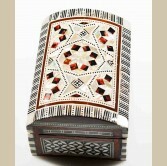 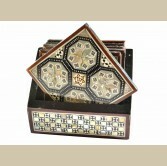 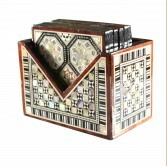 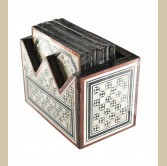 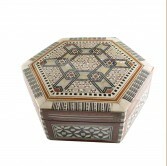 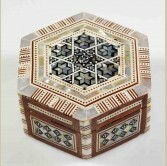 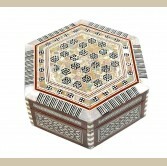 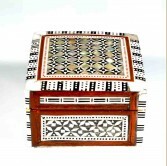 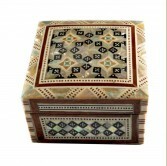 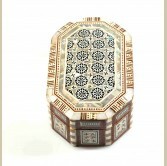 Each piece of inlaid mother of pearl takes from 10 - 15 days to produce the final product. 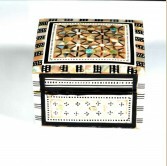 The wooden boxes are made from 100% solid wood , the mother of pearl pieces are broken down into tiny pieces and manually laid over the boxes using special glue for durability and is left in open air to dry. 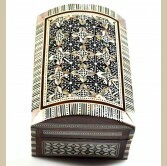 A detailed inspection is conducted to make sure that all our products meets the highest quality assurance standards.